Don't forget, we allow an Anything Goes theme for all our challenges. Challenge 189 starts today and runs through Saturday March 14th at Midnight EST. see what you have come up with. What a wonderful idea to use that watering can template. It really this up quite a bit and so very nicely. This image makes me laugh out loud when I see it. Fun card. Hope you have a fun day to go along with your fun card. 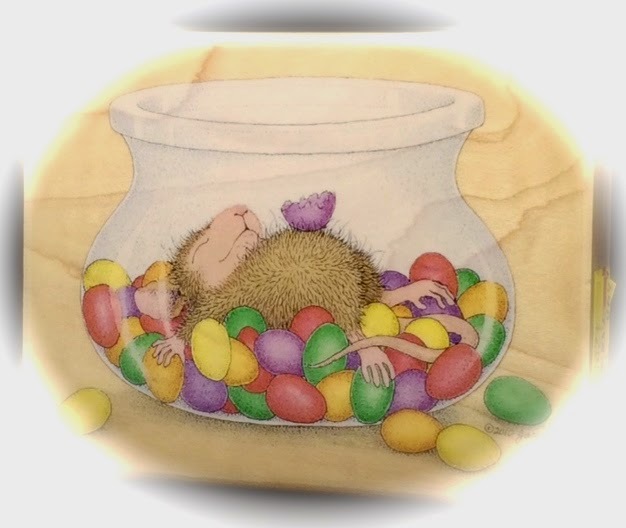 A fabulous card Sue, I love the watering can shape and your lovely spring colours - your poor little mouse is so cute. This is the cutest stamp! You've colored it so beautifully, and I love the shape of your card! You are so talented - I love dropping by here to see what you've done! Wow Sue...your colouring!!!! That grass hopper looks SO real!! 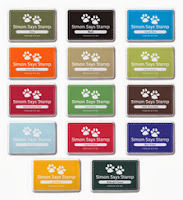 I love the card shape...fabulous idea!! Beautiful Spring like embellishments! Have a most wonderful day Sue!! what a great watering can Sue en beautiful decorated. Absolutely gorgeous card, Sue! I love that watering can shape. It's so perfect for our poor little mousie. Your colors are so rich and beautiful ... most definitely says Spring to me. Fantastic! Such a gorgeous card Sue, full of the joys of Spring. I love the sweet image and the watering can shape looks wonderful. I love that stamp too! It is so cute and funny! Your watering can card is awesome!! Hi Teamie! What a Mega GORGEOUS watering can. Love the bright colors and your stunning coloring work. Beautiful cuts and details. That image is so precious! :) This is a wonderful reminder of Spring with the colors too!! Love it Sue!! A gorgeous card Sue, I love your design and stunning colours.........a beautifully colour cute image and your flowers are fabulous!! 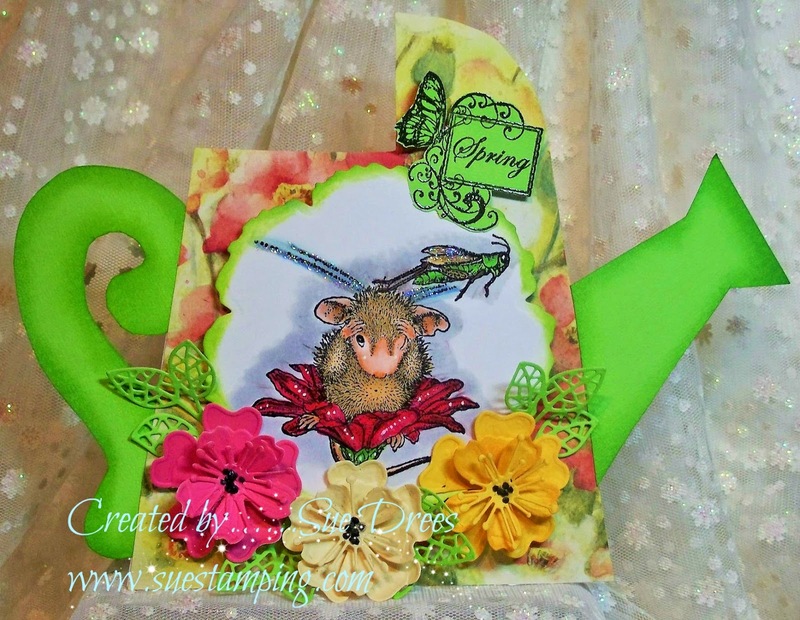 Hi Sue awww what a super take on the Spring chall theme..gorgeous vibrant Spring colours..lovely shape & stunning colouring..clever take on Spring..
Adore your watering can card Sue, such a fab idea !! Fabulous creation, beautiful colours and a great design.